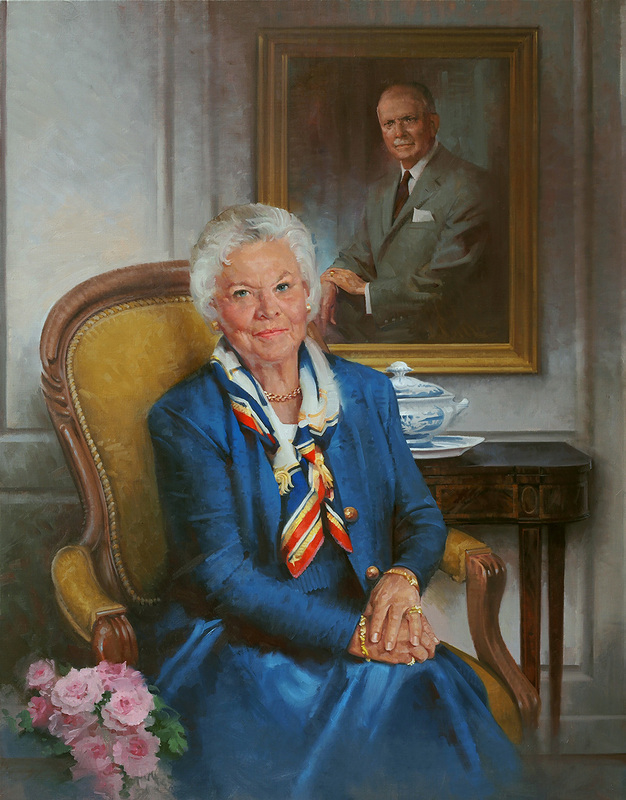 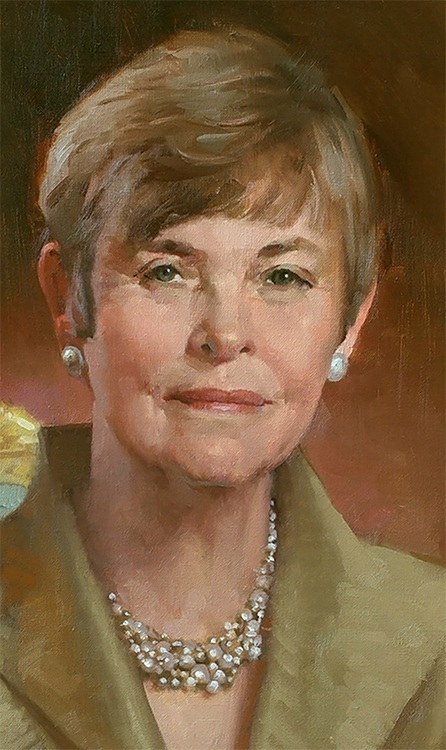 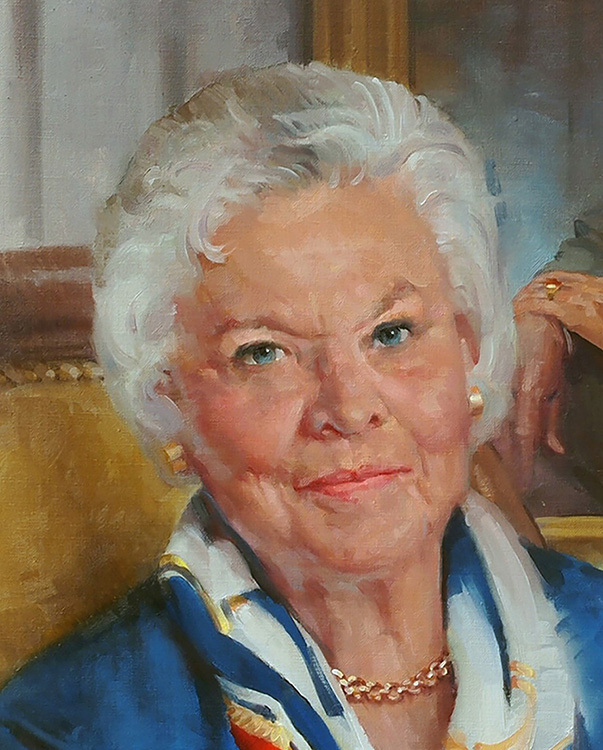 Susan Hirt Hagen was the daughter of Henry Orth Hirt, the co-founder in 1925 of Erie Insurance Exchange and Erie Indemnity Company, which grew into the Erie Insurance Group, one of the nation's largest insurance providers. 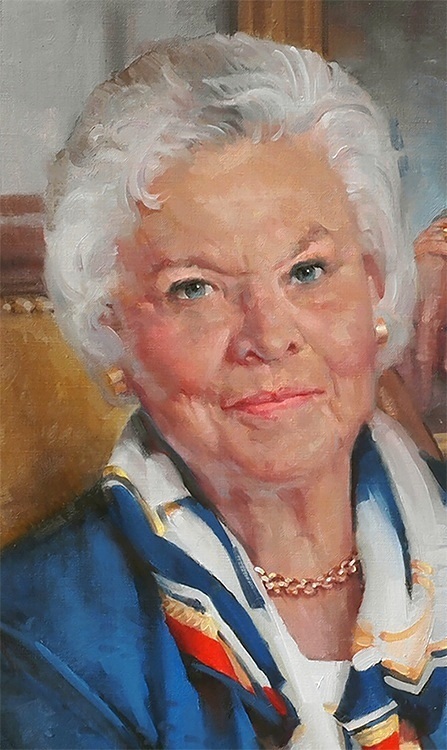 For more than 25 years she was engaged as a consultant in conflict management and group relations, first as program coordinator for the Center for the Practice of Conflict Management and then as managing partner of her own group relations consulting firm, Hagen, Herr & Peppin. 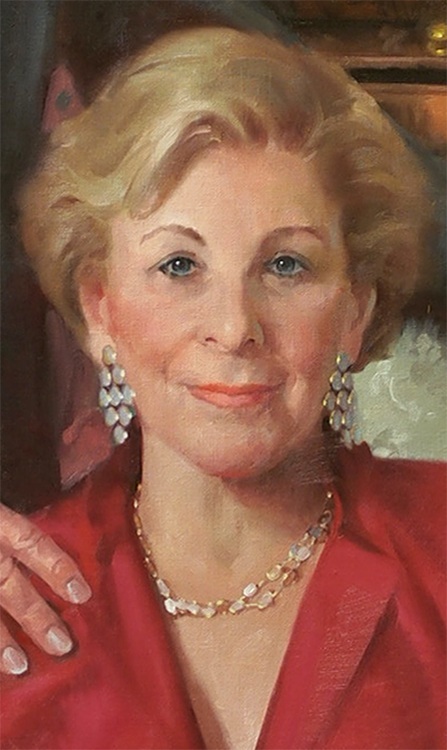 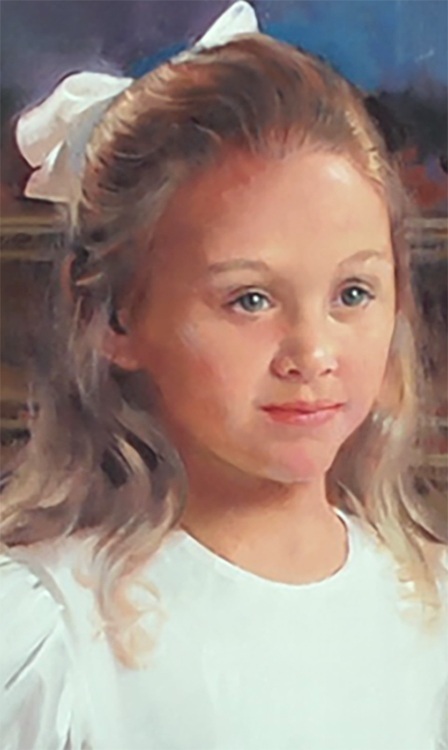 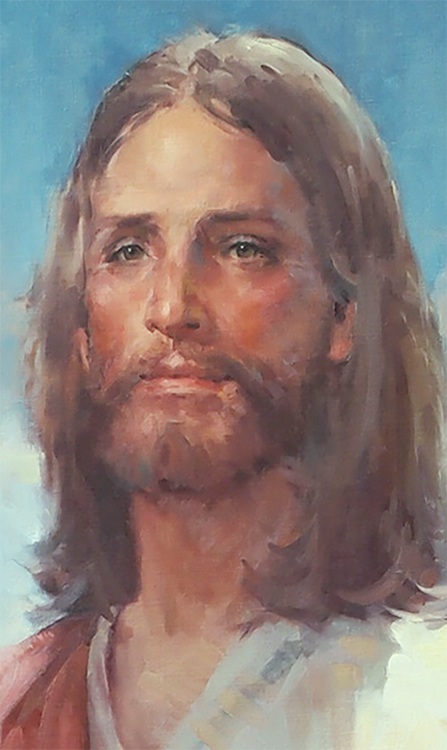 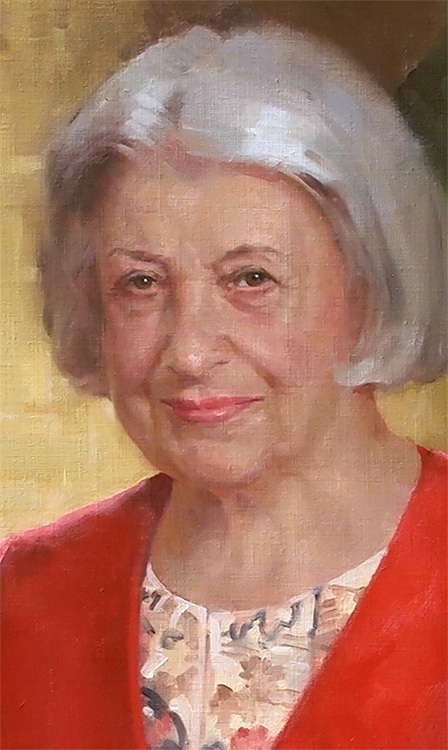 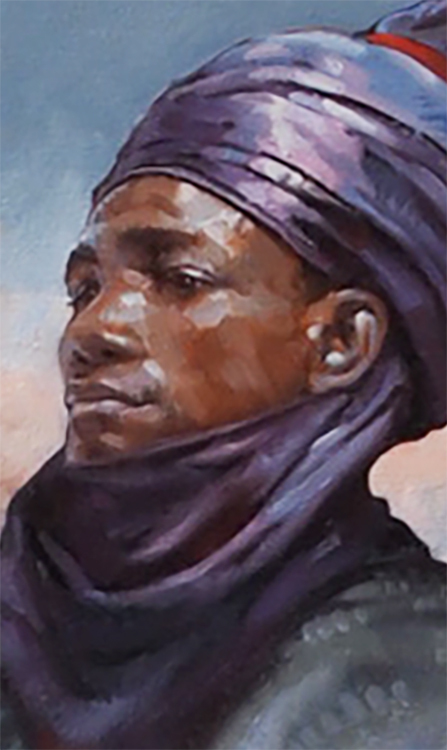 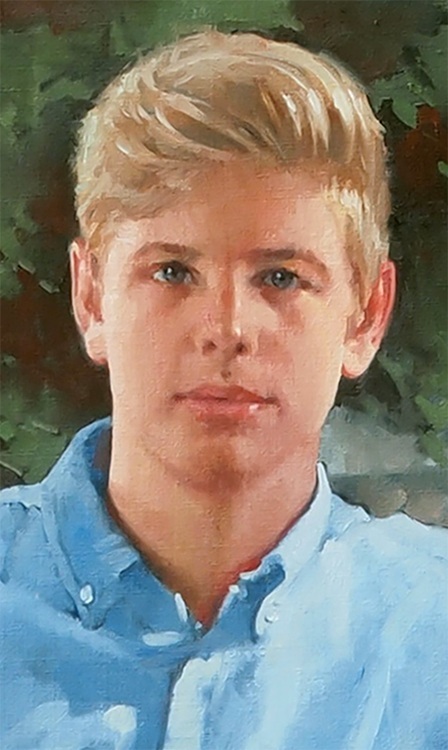 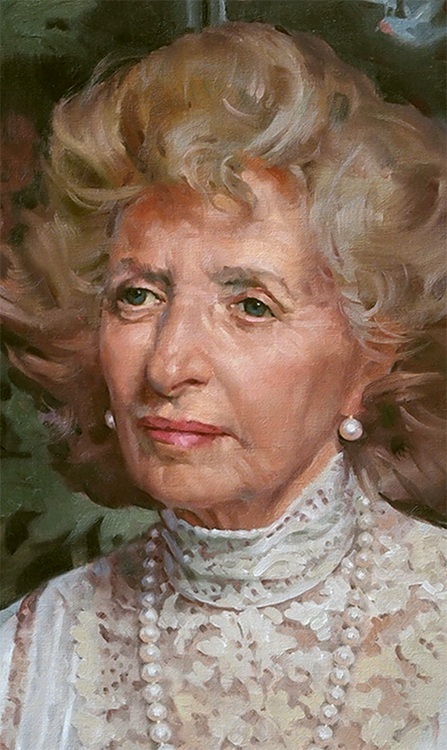 This portrait was created after her death, based on a host of pictures such as the one on the left. 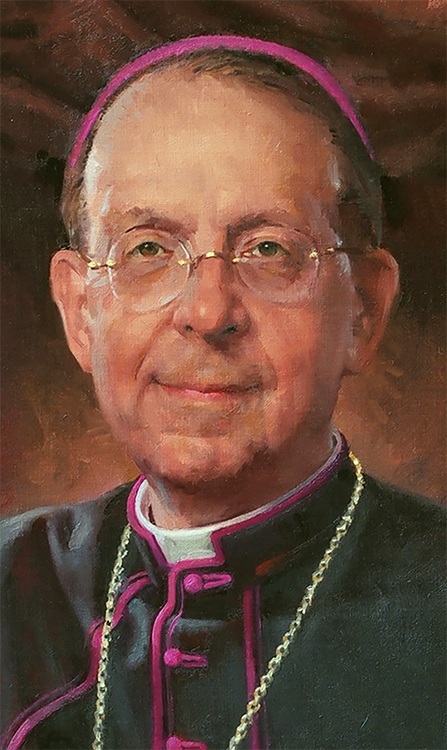 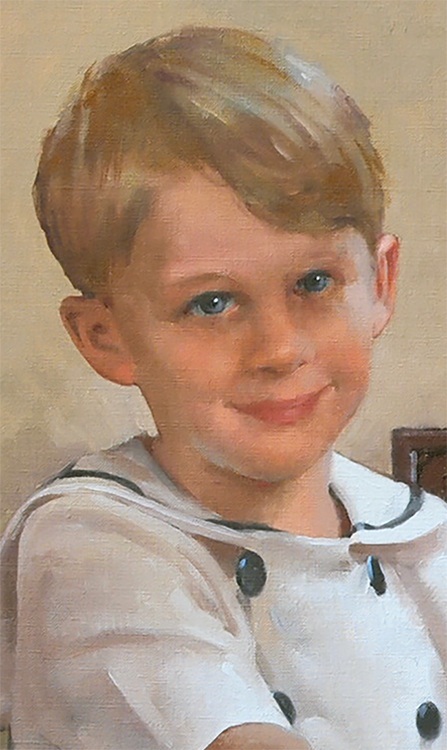 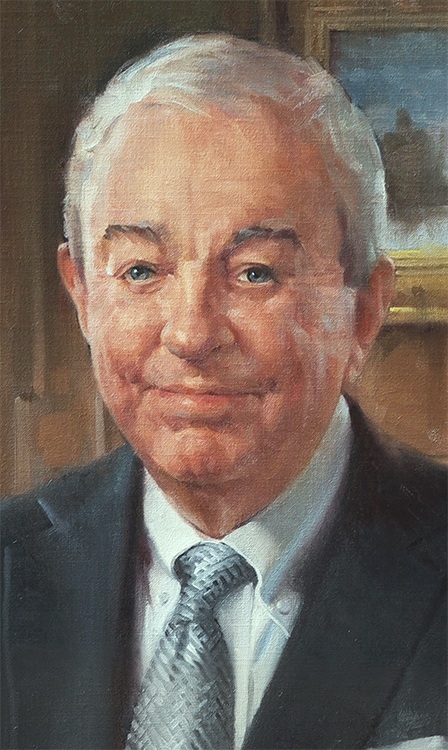 A portrait of Mrs. Hagen's father appears in the background. 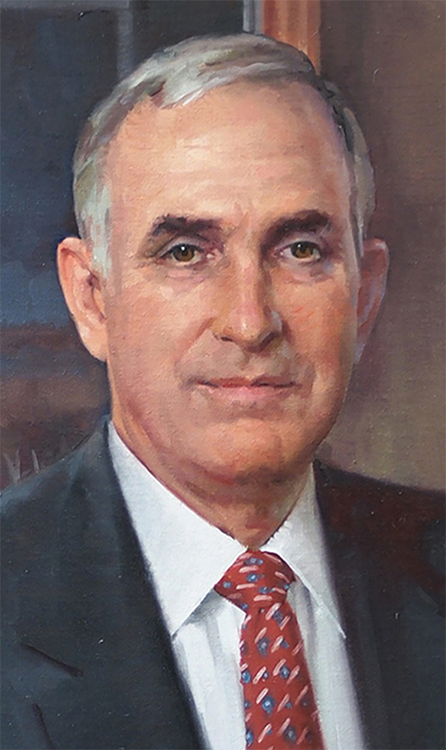 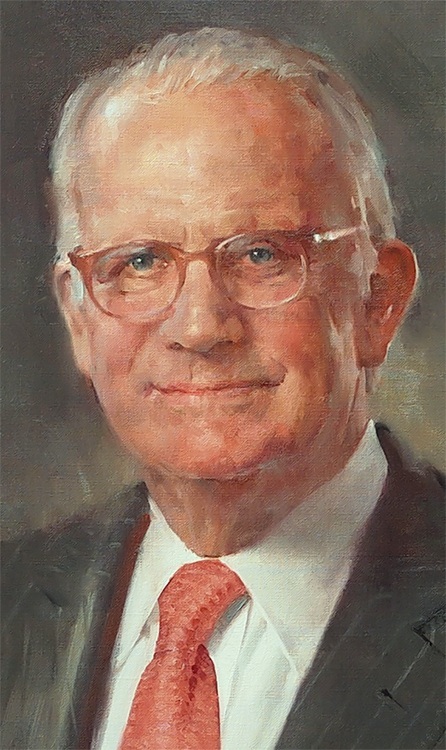 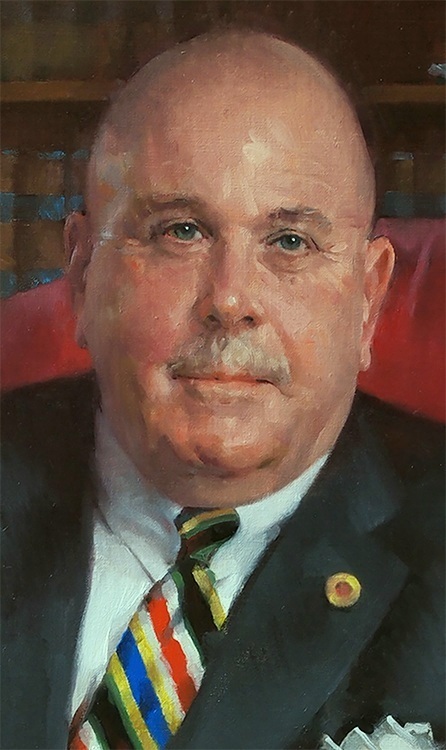 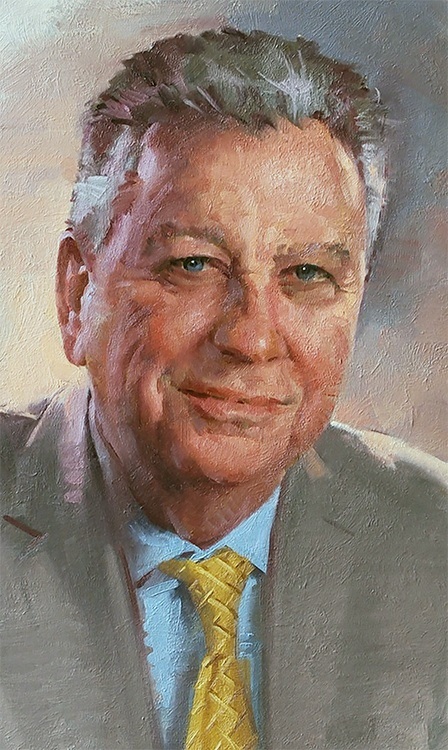 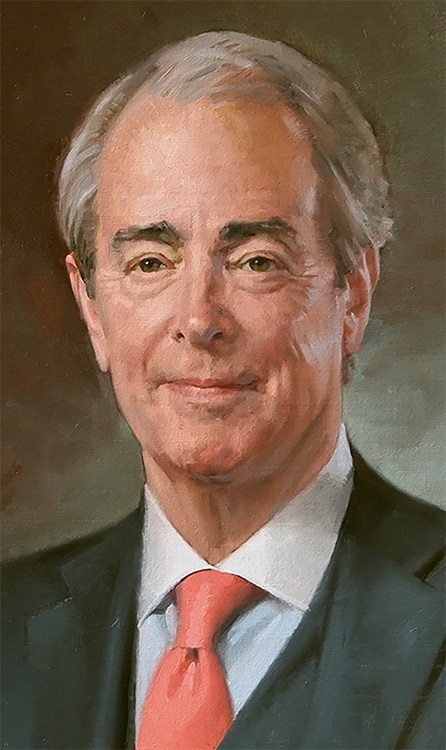 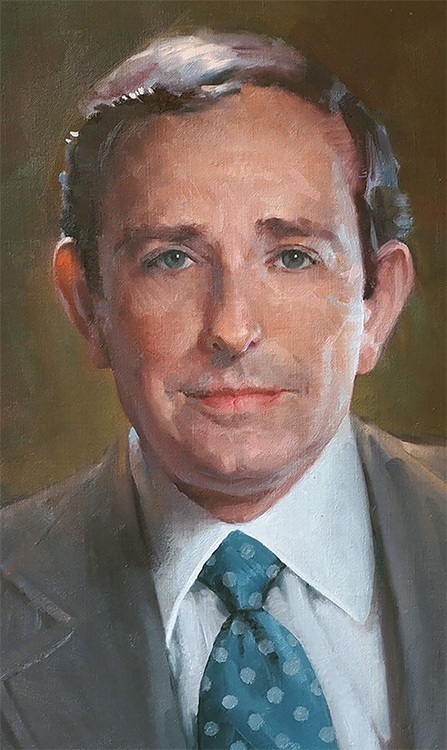 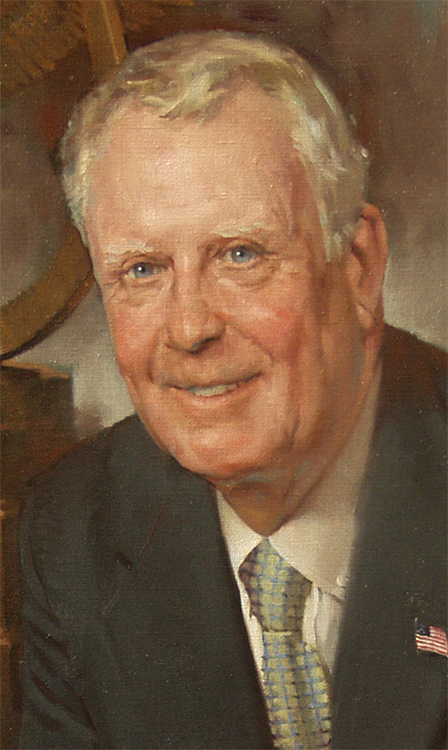 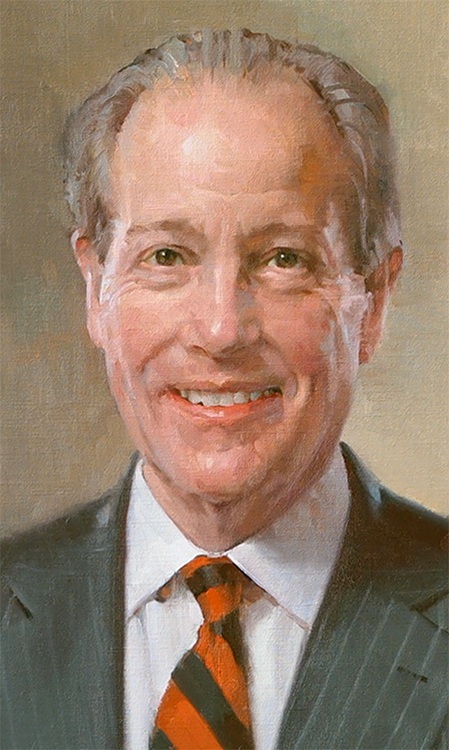 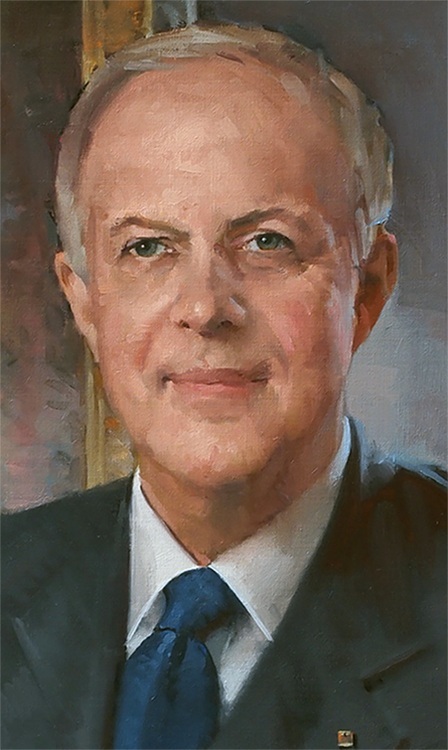 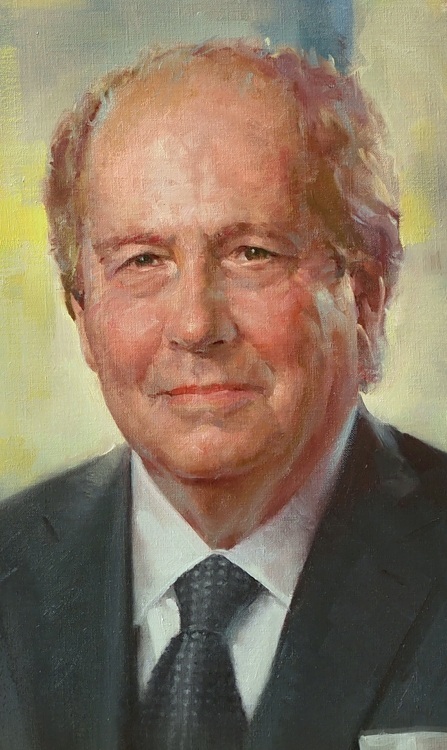 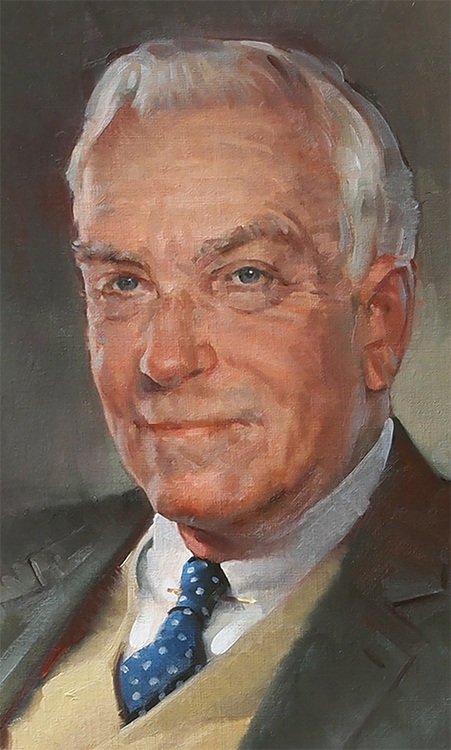 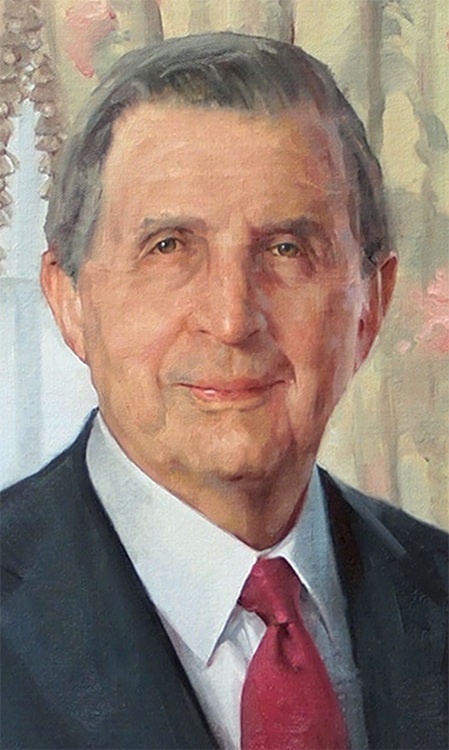 In addition to Mrs. Hagen's portrait, I painted that of the CEO of Erie Insurance Group, Terence Cavanaugh, included elsewhere in this exhibition.